Things around us are changing rapidly, old technology is being replaced by new. Some well-known brands like Blackberry, Nokia are facing a tough time whereas others like Apple are achieving one feat after another. It’s been ten years since the first iPhone was released and from then a lot has changed. With the latest being the release of iPhone X with all new features, bigger screen, updated camera quality and much more. But have you ever thought of comparing the oldest with the latest? or How far have we come from the first iPhone to the latest one? 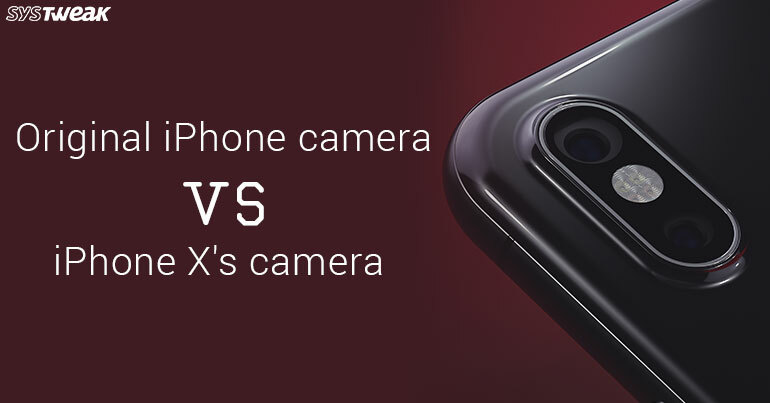 In this article, we will compare both the phones specially for the camera quality. Can a decade old camera technology stand the latest one? Let’s look at how just over a span of 10 years technology has evolved. Before we move ahead, we must acknowledge that often what may seem old and outdated is what once paved way for the new technology. 3.5 mm Jack The basic phone had a jack The latest model comes without it. The things that most of us miss in iPhone X is the audio jack, but still the way it has been upgraded we can live without it. iPhone X has been revamped to an extent that was actually beyond imagination. This is all about the look, price, software, display, screen size and other specifications. But what about the Camera performance? Is it the same? No things have changed over the time, 10 years is a big time. Here we will explain the difference between picture quality of both the camera. The camera app found in the basic iPhone was very simple it did not have functions like pinch, zoom, video, flash and others. What it had was only a shutter button. Whereas the camera app in latest iPhone X has been upgraded and multiple features have been added to it, ranging from different shooting modes, landscapes, slow motion, time lapse and portrait mode. As the original iPhone had a very basic camera app with not much features, users had to click images in bright light to maintain the quality. Whereas there is no such restriction with iPhone X as the images can be modified anytime using the effects added to the camera app. Secondly the image output was not great, the pictures were little unclear due to the reason that the field of view of the lens was 37mm equivalent as opposed to 28mm equivalent on the iPhone X. Due to this using iPhone X user can capture a wider range, and get excellent photos as the output with amazing clarity. The camera app in basic iPhone lacked optical image stabilization (OIS) due to which getting better results in low light wasn’t possible. OIS allows light to get in as camera’s shutter stays open for longer duration. This shortcoming has been dealt with the higher models of iPhone and with iPhone X the results are mind blowing. Also, OIS helps to compensate motion blur that occurs in images due to shaking hand moment. Undoubtedly, iPhone X wins as it has a better camera but still the basic iPhone doesn’t lose at all. The images may not be that great but are still good. Not only this, old iPhone gives a robust feel, handling it is easy as compared to iPhone X. There is no fear of slipping the phone whereas the back-glass plate in iPhone X makes it slippery. The basic aluminum and black plastic back wins here. Plus, handling and carrying the old iPhone is too easy as it fits in every pocket. Flashy things don’t win the race, simplicity is what matters, the one button camera interface in old iPhone makes shooting easy. User don’t have to worry much about the details, he can enjoy clicking images. Surely the results will vary but you won’t completely dislike the results. No one would like to go to back using old technology but if you are still using it there is nothing wrong in it. Old technologies are worth giving a try to know what new advancement is getting for us.